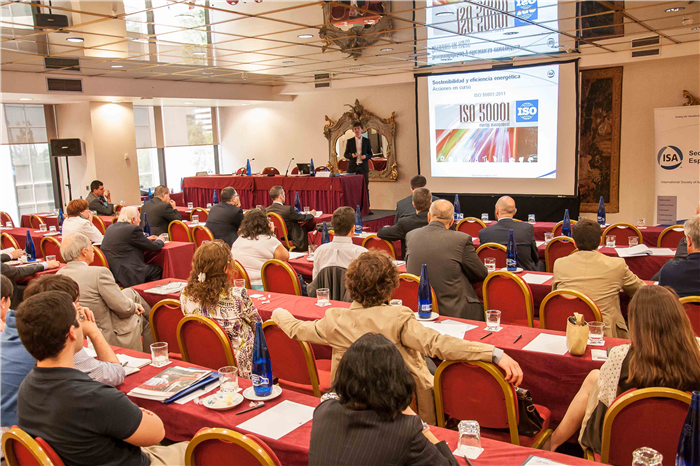 The Spanish Top-Ref partner Tecnalia made a technical presentation of the project during the last Annual Conference of the International Society of Automation – Spanish section. The topic of this year’s conference was the “Contribution of automation to energy saving and sustainability” and was organized under the umbrella of the organization’s Partners General Assembly. The event took place the 5th of June in Madrid (Spain) and was attended by nearly 70 representatives from the main companies of this sector, among which there were 3M, Repsol, Cepsa, Enagas, or Sabic. 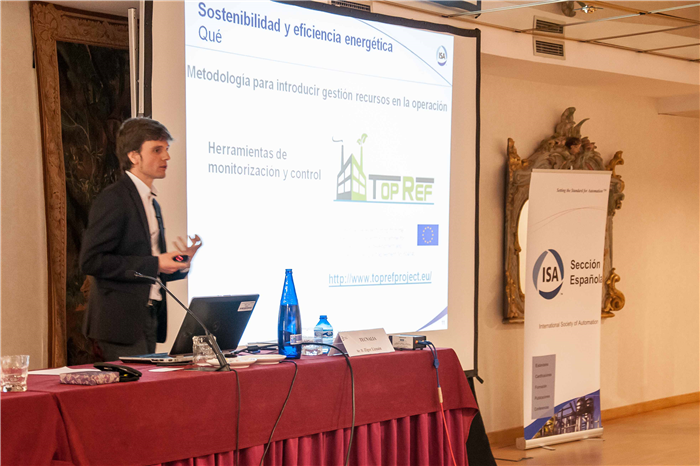 Tecnalia presented to the conference the abstract “TOP-REF: a European Project to achieve more competitive industries”, which was accepted to be imparted at the technical sessions that are held during the conference. Despite the early stage of the Project, the event represented an excellent opportunity to gather some opinions and suggestions from different industry representatives, specially from the petrochemical industry, about the expected results. The presentation highlighted not only the willing of working towards a more sustainable growth, but also the need to focus these projects towards an increase of the industries competitiveness. TOP-REF consortium took advantage of the chance this forum represented to present the EU policies in this field, as well as its strong commitment on innovation, in order to guarantee the sustainability of industrial sector, with initiatives such as of SPIRE or H2020. Founded in 1945, the International Society of Automation (ISA) is an international organization aimed to help its more than 30.000 members around the globe, and every other professional from the sector, to solve their problems, improve their knowledge, leadership capabilities and to promote their professional development in general. In addition, ISA is in charge of the development of standards related with the fields of instrumentation, control and automation, among others.